Build more muscle, improve your mood and get more results from your training. Those are some of the promises often made by so-called ‘testosterone booster’ supplement manufacturers. UPDATE: We’ve updated this guide with the latest information and products for 2019. We currently rate TestoFuel and Prime Male as the two best supplements right now. We’ll be reviewing and updating this article with the very latest information throughout 2019. A so-called ‘testosterone booster’ is a blanket name given to supplements which are marketed as being able to help you achieve your goals. They don’t contain any actual testosterone and instead they are usually formulated from a range of plant extracts, vitamins and minerals. That being said, they are still incredibly popular, and many people choose to take them regularly. Choosing a supplement be a confusing mission but luckily for you, you don’t have to spend hours researching to find the best products. Our team of experts have done the hard work for you to help you find the right supplement for you. 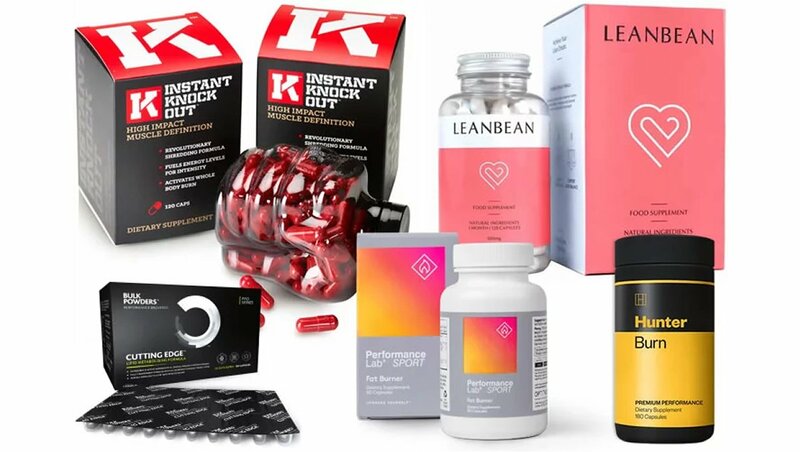 Before we reveal our pick of the top supplements, it’s important to remember that making sure that you’re sticking to a good diet and living a healthy lifestyle overall is crucial, and that should always be your first move before thinking about any supplementation. 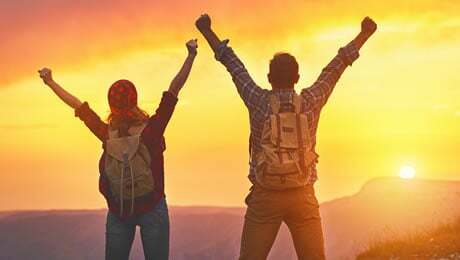 If you’re eating right, exercising regularly and getting plenty of rest, then you’re naturally going to increase your chances of being in good health. Getting the basics right should always be your priority before thinking about trying any kind of supplement. • Effectiveness – We closely examined each of the ingredients and their doses, and read real customer reviews. We tried to avoid the typical marketing hype associated with supplements. • Safety and side effects – Do the supplements use any risky or harmful ingredients? We only considered supplements that contain sensible ingredients. All of the products on this list have transparent formulas – they do not use proprietary blends to hide the doses of any ingredients. • Company reputation – We took a thorough look at the companies behind products. 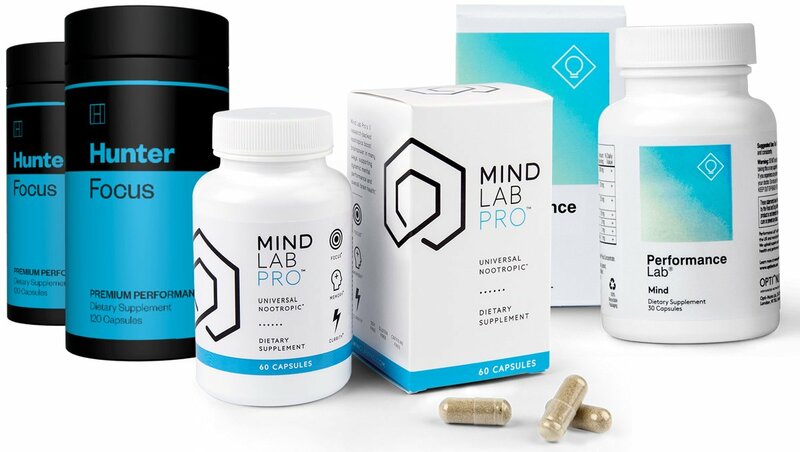 By checking out the other supplements in their lines, as well as what existing customers are saying, we made sure that the companies behind the products are reliable. 1) Younger guys who feel like they could do with a boost. 2) Older men who want to inject some fresh vigour into their everyday lives. We kept these two groups of guys in mind and picked a product for each situation. 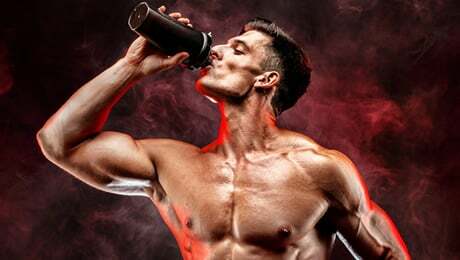 Marketed as the formula to boost your results both inside and outside the gym, TestoFuel is the supplement aimed at younger guys who hit the gym. 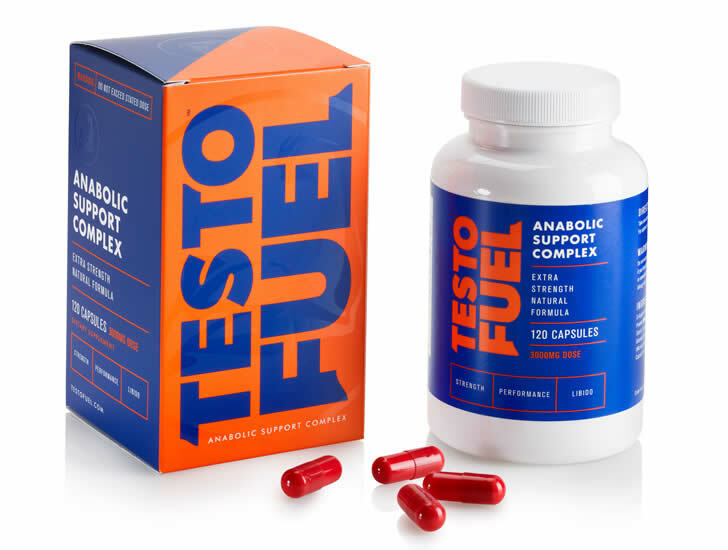 TestoFuel is made by specialist supplements company Roar Ambition, and you’ll probably have already come across this product if you’ve done any research for yourself. When we carried out our research, this product came up as number one on lots of review websites. The customer feedback seemed to be pretty positive. • Transparent formula – Doesn’t contain any risky or banned ingredients. The doses of the ingredients are clearly listed in the label. 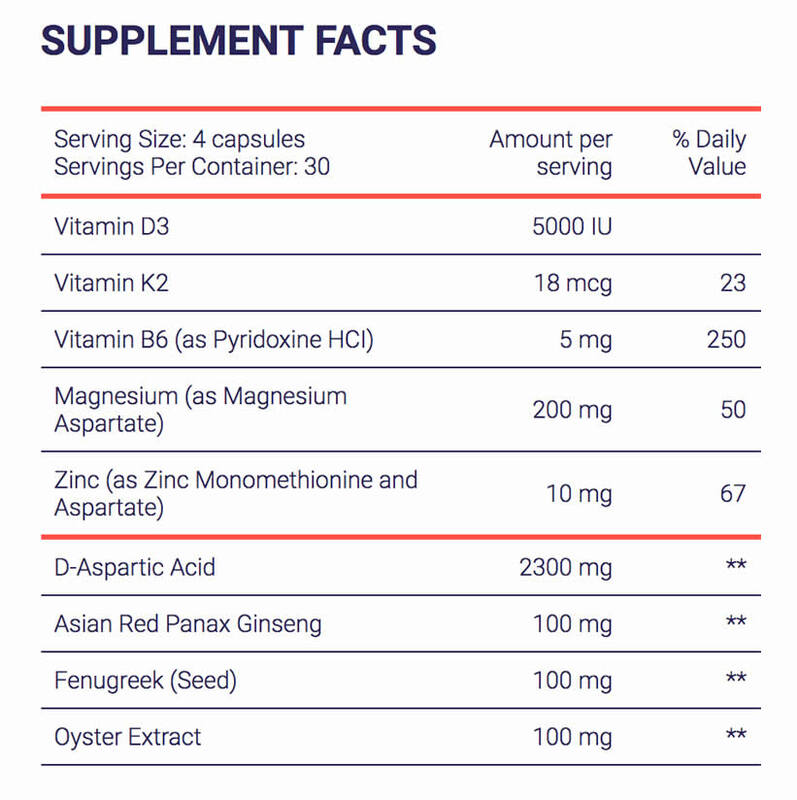 • D-Aspartic Acid – You’ll find D-Aspartic Acid in many of the supplements in this category. TestoFuel uses 2300mg of D-Aspartic Acid per daily dose. • Magnesium – An essential mineral that contributes to the reduction of tiredness and fatigue and normal energy release. • Vitamin D – Known as the ‘sunshine vitamin’, our bodies produce Vitamin D when our skin is exposed to direct sunlight. However, if you don’t live in a warm country, it can be difficult to get enough of it all year round. • Zinc – Another important essential mineral. Zinc contributes to the maintenance of normal serum testosterone concentrations and normal fertility and reproduction. • Vitamin K2 – A vitamin which contributes to the normal function of the heart and blood vessels. • Vitamin B6 – Vitamin B6 contributes to a normal energy-yielding metabolism and the normal function of the nervous system. Each bottle contains 120 capsules, which is a month’s supply. The directions say that you should take one capsule, four times per day. Because it doesn’t contain any stimulants such as caffeine, you can probably take it in the evening without worrying about it affecting your sleep. We found lots of reviews of TestoFuel online and the vast majority of the feedback was positive. There are a few impressive testimonials on the official website. We did find a few people who said that the product didn’t work for them. Every supplement we looked into had some negative reviews. It’s hard to say if these people are taking the product as advised – and whether they’re making healthy lifestyle choices or not. You can check out all of the customer testimonials with some before and after pictures here. The price for one bottle is $65 / £39 / €45. They have a promotion on where you buy three bottles and get a fourth free. That works out at around $48 / £29 / €33 per bottle and includes free worldwide shipping. You can’t buy this product in the shops at the moment. It’s only available directly from the manufacturer from the official website. When you buy the three-box deal, you’re covered by their money-back guarantee. The website says that product is made in cGMP (Good Manufacturing Practices) approved and certified facilities in both the USA and UK – and they ship worldwide. • You can only buy it from the official website, so you won’t find it in the shops or on other sites such as Amazon or eBay. • It’s a premium priced product, so may not fit into everyone’s budget. • You’ve got to take four capsules per day, which could be annoying for people with busy lives. • The capsules contain Gelatin, so it’s not suitable for Vegans or Vegetarians. TestoFuel is one of the market leading supplements in this category, and it’s aimed at younger guys who hit the gym regularly. It contains some great ingredients such as Magnesium, Zinc and D-Aspartic Acid. The only drawbacks we found were the premium price tag and the fact that you can only buy it from the official website. But least you can be confident that the product you’re getting is 100 per cent authentic when buying direct. The customer reviews were very positive and it is made in cGMP approved and certified facilities. 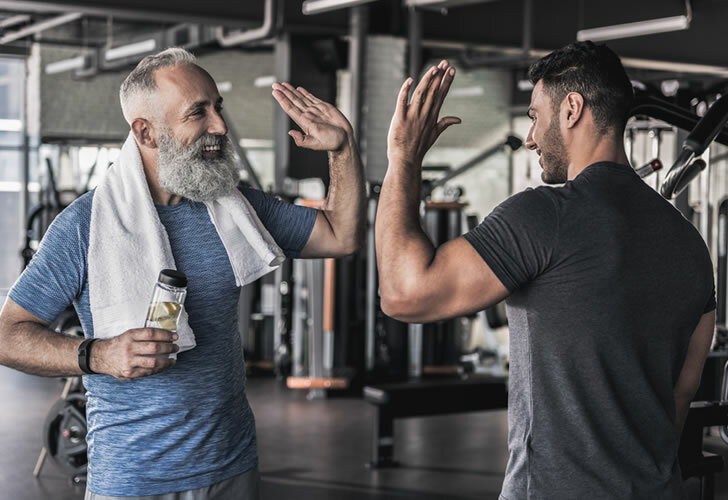 During our research, we found that a lot of the similar supplements on sale at the moment seem to be aimed towards younger guys who hit the gym. So we started looking for a product that had been specifically tailored for older men. 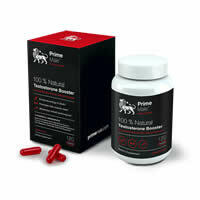 Prime Male contains many of the same ingredients as TestoFuel but with a few differences. Prime Male contains 12 ingredients in its formula. • D-Aspartic Acid – An amino acid that is a popular ingredient found in many of the supplements in this category. • Zinc – An essential mineral which contributes to the maintenance of normal serum testosterone concentrations and normal fertility and reproduction, amongst other things. • Vitamin B6 – A vitamin commonly added to supplements. Vitamin B6 contributes to normal energy release and the normal function of the nervous system. • Magnesium – Another good ingredient. Magnesium contributes to the reduction of tiredness and fatigue and normal protein synthesis, amongst other things. • Vitamin K2 – Another great vitamin in the Prime Male formula. Vitamin K2 contributes to the normal function of the heart and blood vessels. You take one capsule, four times a day. Each bottle contains 120 capsules, meaning that one will last you for a month if you stick to the recommended dose. Like with TestoFuel, we found lots of reviews online and many success stories about Prime Male. The official website features testimonials from men who have apparently been taking the product. Of course, there are unlikely to be any negative testimonials on the official website, so it’s probably best to take those with a pinch of salt. You can check out the full list of testimonials with before and after pictures by clicking here. One bottle costs $69 / £39 / €49. They also have deal on where you buy three bottles and get a fourth free. That works out at around $51 / £29 / €36 per bottle. Seeing as you’ll probably want to commit to a few months of using it, this seems like a sensible option. You’re also fully covered by the company’s results guarantee promise if you take the three-bottle deal. Like TestoFuel, the website says that Prime Male is made in an FDA-approved facility according to Good Manufacturing Practices and is shipped worldwide from the USA and UK. You can expect to get it within a few days. 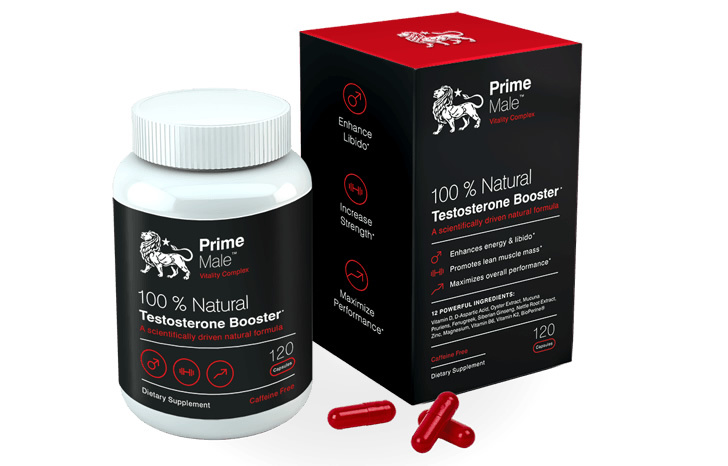 If you’re an older guy looking for a supplement, then Prime Male could be the product for you. It contains a range of our favorite ingredients for supplements in this category, including D-Aspartic Acid, Magnesium and Zinc. The only real drawbacks are the fact that you can only buy it directly from the manufacturers’ website right now, meaning it’s not available in the shops or on other websites, and that it has a premium price tag. 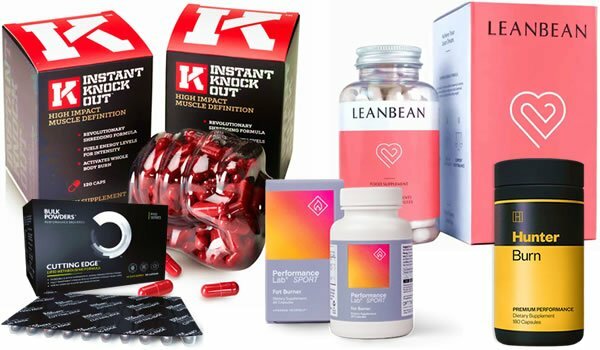 It’s our pick of supplements marketed at older men right now. 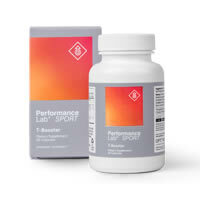 The third product on our list is the SPORT T-Booster by Performance Lab. The excellent Performance Lab range is the latest creation from supplement industry veterans Opti-Nutra. The Performance Lab range has already drawn plenty of positive feedback thanks to the innovative nature of the products. 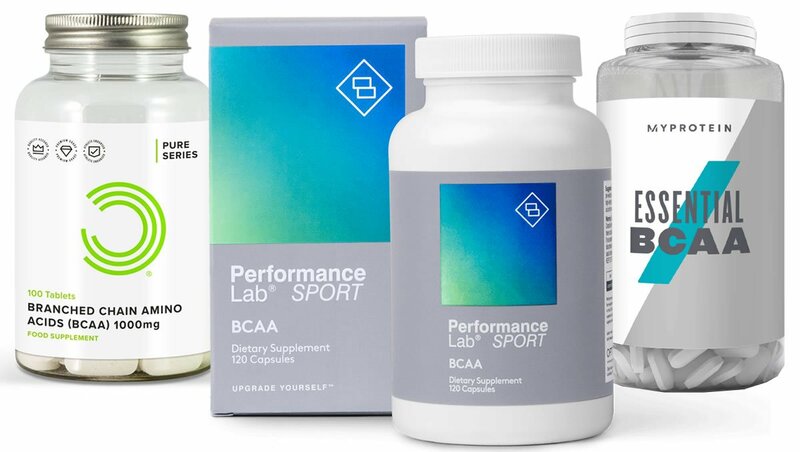 The whole Performance Lab range is 100% Vegan friendly, and uses a patented technology called BioGenesis, which the manufacturer claims can help with the absorption of the ingredients. 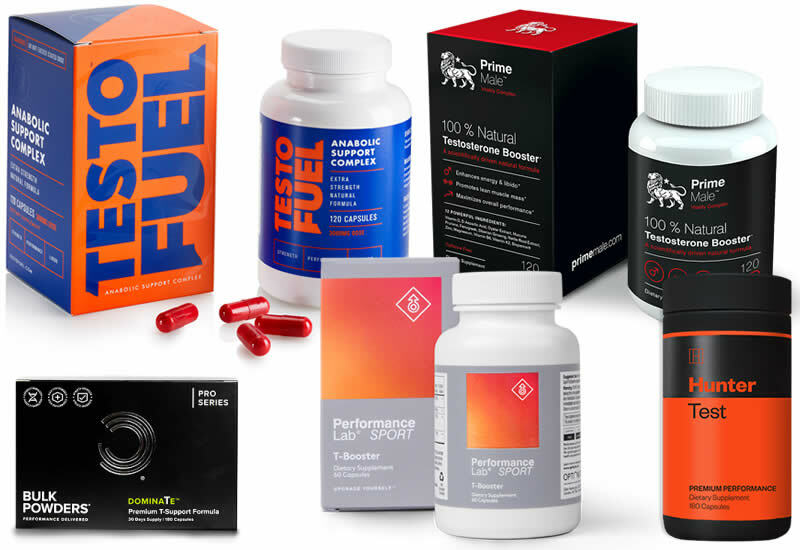 The main difference between SPORT T-Booster and the other products on this list is that it contains a lot fewer ingredients than Prime Male and TestoFuel. That’s not necessarily a bad thing. So let’s now focus on the ingredients it does contain. • D-Aspartic Acid – We’ve already explained why D-Aspartic Acid is a popular ingredient in supplements in this category. 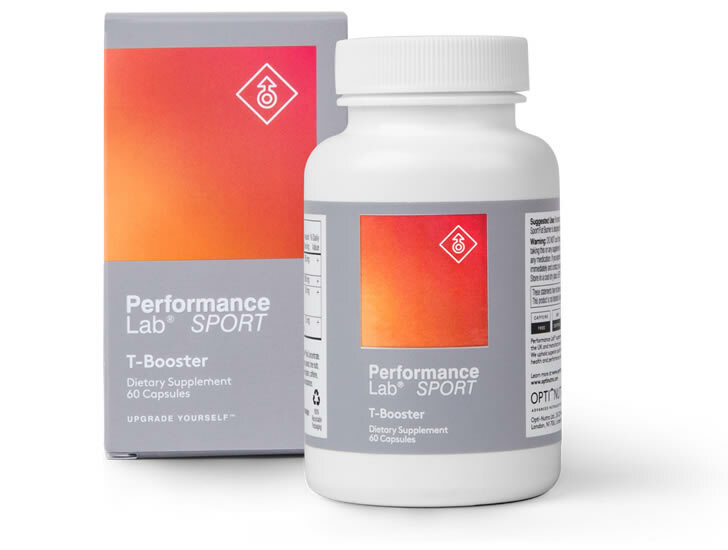 It’s great to see that Performance Lab have included this ingredient in Sport T-Booster. • KSM-66® Ashwagandha – An Ayurvedic root herb which has been used traditionally for certain benefits. • Mucuna Pruriens – Also known as Velvet Bean, this ingredient is often found in supplements of this type. • Luteolin – Luteolin comes from Orange Fruit Extract. 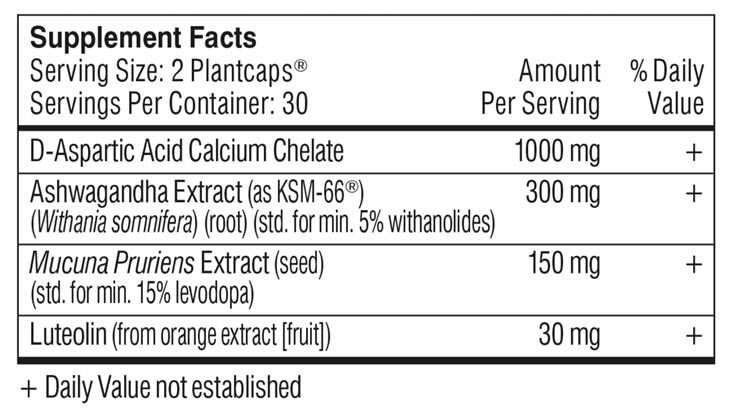 Each serving of SPORT T-Booster contains 30mg of Luteolin. • Missing some good ingredients such as Zinc. • You can only buy it on the official website right now, meaning you won’t find it in the shops or on Amazon. The SPORT T-Booster from Performance Lab is marketed at people looking to step their athletic game up. It’s got a shorter ingredients list than the other two products above, but it still has some popular substances for a supplement in this category. Next up in our list is one of the more premium-priced supplements out there right now. 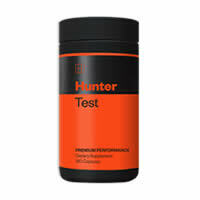 It’s called Hunter Test and it’s part of the latest range of premium supplements made by Roar Ambition. The other products above in this guide are more geared towards the mass market. 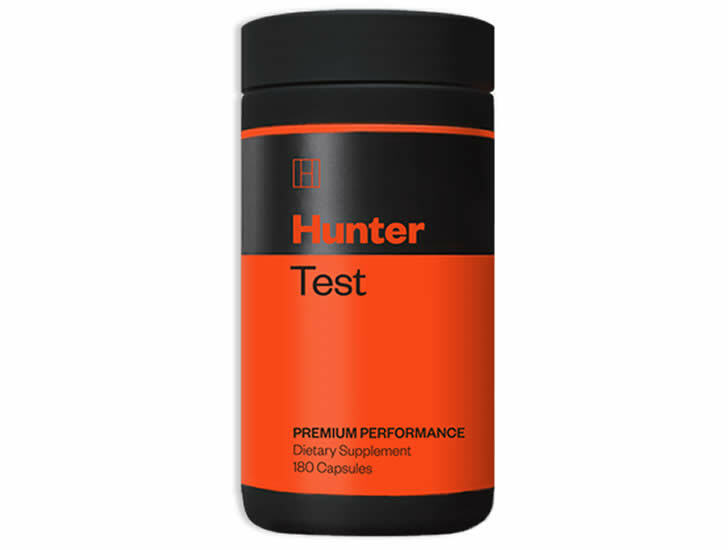 Hunter Test is marketed at men who are willing to pay a little bit extra for a supposedly higher quality formula. Like the other supplements in this list, Hunter Test uses many of the popular ingredients found in supplements in this category. Hunter Test uses a simple formula containing a total of nine ingredients. 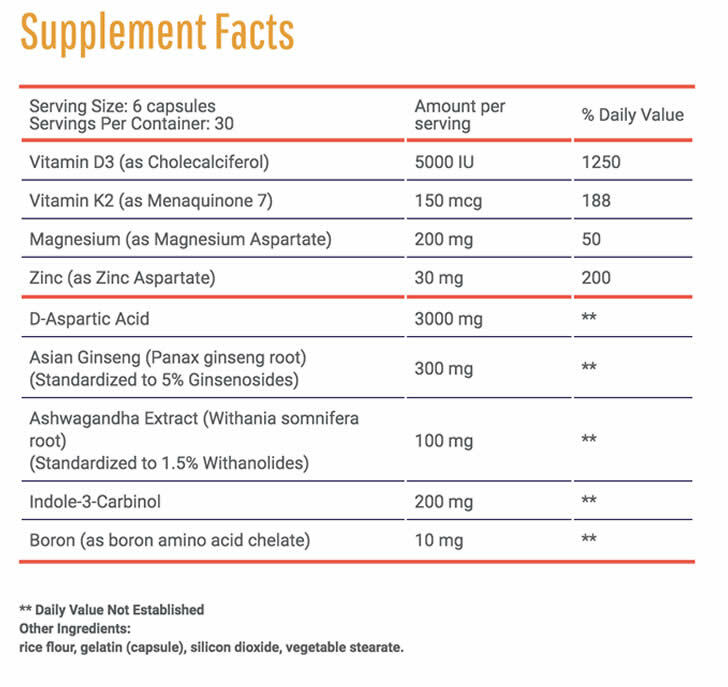 It has doses of D-Aspartic Acid, Ashwagandha and Vitamin D, and like all of the products on this list, it doesn’t use a proprietary blend to hide the doses of any of the ingredients. That means that we know the exact doses of each of the ingredients used. • D-Aspartic Acid – As you’ve probably already realised, this is one of the most popular ingredients for supplements in this category. Hunter Test uses three grams per daily dose. • Ginseng – Ginseng is also found in many of the other supplements in this category. • Ashwagandha – As with the SPORT T-Booster, Hunter Test uses the Ayurvedic root herb Ashwagandha as one of its main ingredients. • Magnesium and Zinc – Two essential minerals. Zinc is known for contributing to the maintenance of normal serum testosterone levels. Meanwhile, Magnesium contributes to the reduction of tiredness and fatigue and normal protein synthesis. • Vitamin D3 – An important vitamin that is a common ingredient in supplements of this type. • Hunter Test uses a ‘premium’ grade formula, and it carries a more expensive price tag than any of the other supplements on this list. • The capsules are made from Gelatin, so it’s not suitable for Vegans or Vegetarians. • Again, you can only buy it direct from the manufacturer. Hunter Test is marketed as the supplement for ambitious guys who are willing to pay a little extra for a premium product. The final product on our list is Dominate, made by UK-based supplements company Bulk Powders. 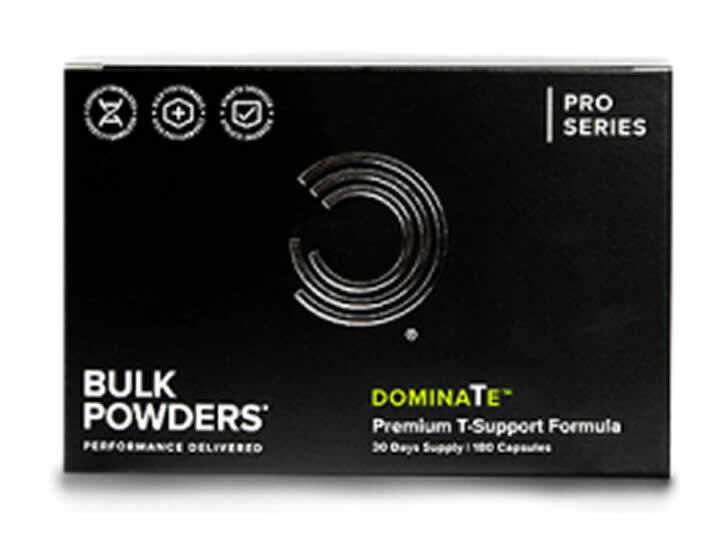 If you’ve read any of our supplement reviews before, you’ll know that we’re big fans of Bulk Powders’ products because they tend to offer great value for money. 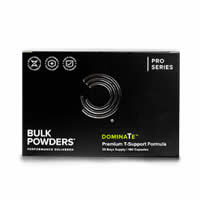 Dominate is the premium supplement offering from Bulk Powders and it contains a lot of the things we like to see. The Dominate formula is pretty solid and again, it doesn’t use a proprietary blend, so we know exactly how much of each ingredient is included. • D-Aspartic Acid – Dominate uses 3000mg of D-Aspartic Acid per six capsules. • Fenugreek – Another popular ingredient in supplements of this category. Dominate uses 600mg of Fenugreek per daily serving. • Zinc – An essential mineral. Zinc contributes to the maintenance of normal serum testosterone levels and normal fertility and reproduction. • Ginseng – An ingredient which is found in a number of similar supplements. • Bulk Powders are a UK based company and their products do not currently ship to the US. • Doesn’t contain any Magnesium or Ashwagandha. Dominate is a good option if you’re looking for a supplement on a budget and you live in Europe (Bulk Powders don’t currently ship to the US). It has some decent ingredients and doesn’t use a proprietary blend. If you’re looking to build lean muscle and get into shape, you’ll need to make sure that you’re performing the right training and getting the right nutrition. There is lots of information online about how to increase your chances of success, but here are three golden rules to stick to as you look to get into your best shape. • Lift Heavy Weights – This may sound like an obvious one, but if you are lifting heavier weights on a regular basis, you will essentially be telling your body to respond by building more muscle to handle the load in future. • Eat A Calorie Surplus – Good nutrition should be the starting point for any good fitness plan. Eating more calories than you are consuming will give your body more of the fuel it needs to add new muscle. • Get Enough Rest – This one is often overlooked. You probably already know this, but you don’t build muscle in the gym. Training simply creates the damage to your muscle fibers that your body then responds to in the hours and days following your training. That means that you should make sure that you’re getting enough rest to help your body to recover and work on building muscle. 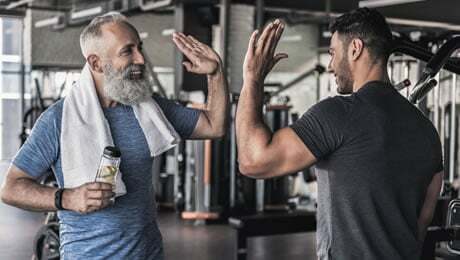 As we mentioned at the start of this supplement guide, you should never expect the products on this list (or any supplement for that matter) to do all of the hard work for you. 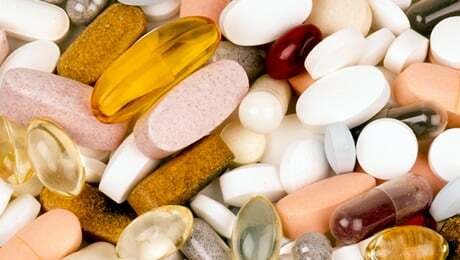 These types of supplements are designed to be combined with a healthy lifestyle, not replace one. As ever, we always recommend making healthy lifestyle choices first before thinking about any kind of supplementation. That means sticking to a healthy diet full of plenty of fresh fruits and vegetables – and combining it with regular exercise. As always, we also recommend speaking to your doctor before thinking about making any major lifestyle changes or trying a new supplement for the first time. They will be able to give you professional advice about how best to support your goals. So there we have it, our look at the best so-called testosterone booster supplements on sale right now. 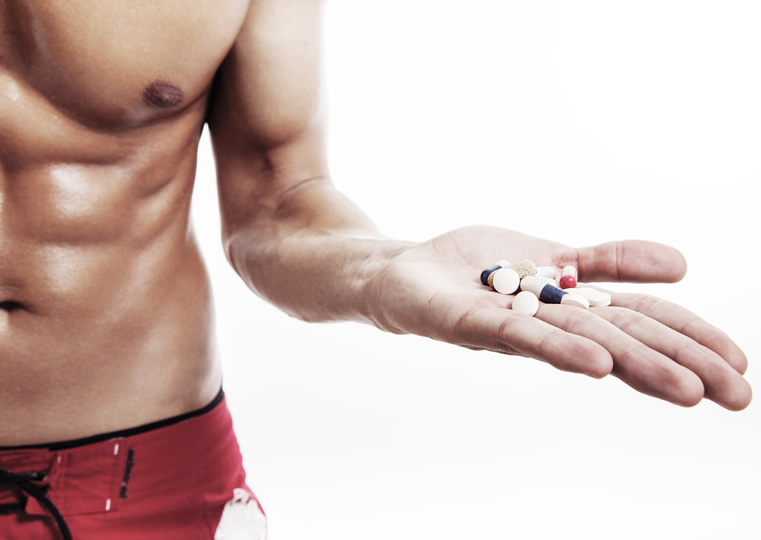 We’ve taken you through the popular ingredients and narrowed it down to five supplements. 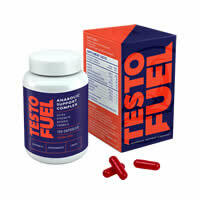 TestoFuel is the best option for younger guys, while Prime Male is the top choice for older men. 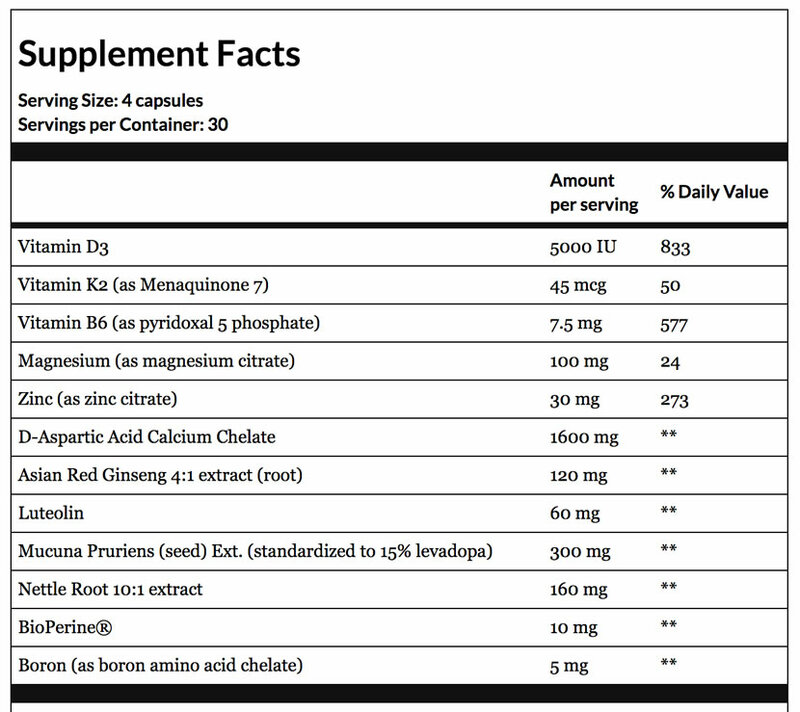 But you shouldn’t go too far wrong by selecting any of the five supplements featured on our list. As always, remember that none of the products on this list have been officially proven to boost testosterone levels. Instead, they simply contain ingredients such as plant extracts and vitamins. This article was last updated on March 14, 2019.